The first CSA boxes of the 2014 Good Earth Farm CSA have been delivered! The excessive rain has been a challenge, but, despite that, we were able to pack a healthy first box of produce for our 250 member CSA. 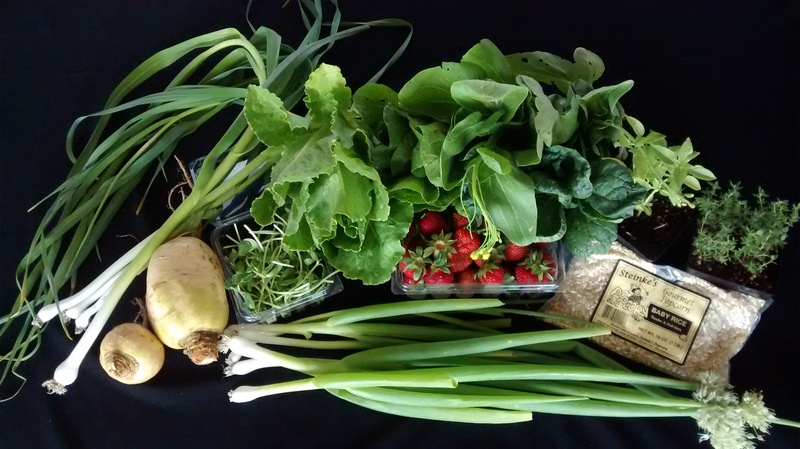 Included in the first box of the season for 2014 were green garlic, heirloom golden turnips, sunflower shoots, scallions, romaine lettuce, strawberries, a bag of 3 different Asian greens, heirloom popcorn, potted herbs (thyme and lemon basil). 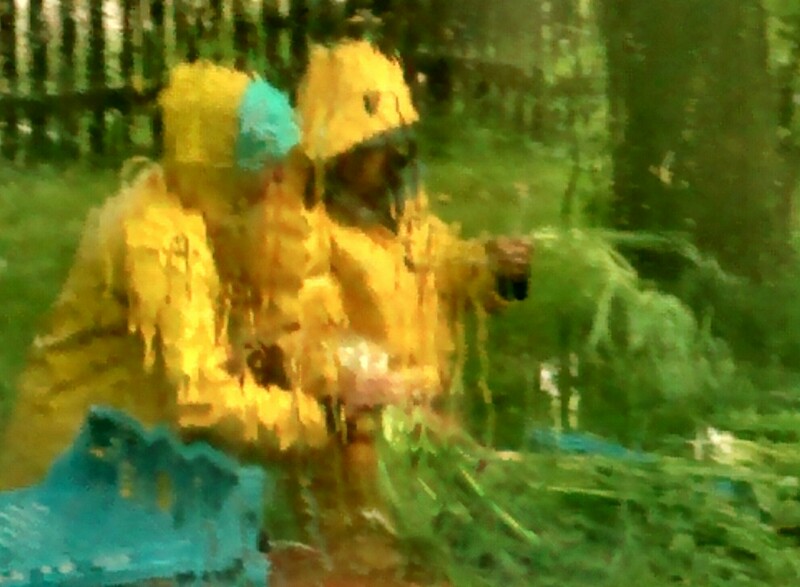 The challenge of harvest and cleaning might be apparent in this photo of a few crew members washing scallions. While the photo was taken from inside and appears pretty dramatic, it really was POURING! With these challenges come great rewards! Real food. Healthy bodies. Happy people.